Injectable fillers are a safe and effective way to treat wrinkles almost anywhere on the face, as well as the back of the hands. Many of them also can be used to create fuller lips. Patients can enjoy immediate, long-lasting results with these treatments. All of the fillers we offer have undergone thorough clinical review and been approved by the U.S. Food and Drug Administration (FDA) for wrinkle correction. 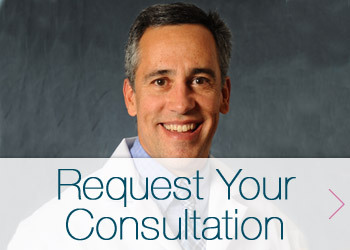 Request your consultation online or call (518) 793-0475 today to start enjoying smoother, more youthful-looking skin. Dr. Garcia offers injectable fillers at his office in Glens Falls. You can also look into adding an injectable filler to a plastic surgery procedure you are having at Glens Falls Hospital. Dr. Garcia makes it convenient to achieve your ideal look with the help of medical spa treatments and cosmetic surgery procedures. What Injectable Fillers Do We Use? JUVÉDERM® XC is an injectable Gel called hyaluronic acid, a naturally occurring substance within the body. Patients choose this injectable to help restore skin volume, augment lips, and smooth away the facial lines known as nasolabial folds, or the creases that run from the sides of the nose to the mouth. JUVÉDERM® VOLUMA XC is indicated for cheek augmentation to correct age-related volume deficit in the mid-face in adults over the age of 21. JUVÉDERM VOBELLA ® XC is the first and only FDA-approved filler proven to increase lip fullness and soften the appearance of vertical lip lines for up to 1 year. VOLBELLA® provides subtle volume and a natural-looking, long-lasting result. BELOTERO BALANCE® is also an injectable Gel called hyaluronic acid. BELOTERO BALANCE® is Dr. Garcia’s preferred filler for treating tear troughs and correcting the appearance of hollow eyes. Often times patients combine BELOTERO BALANCE® treatments with JUVÉDERM® VOLUMA XC treatments to improve the appearance of the eyes and mid-face. RADIESSE® is a dermal filler made of tiny calcium-based microspheres suspended in a water-based gel. Dr. Garcia chooses RADIESSE® for correcting volume loss in the back of the hands resulting in a more youthful appearance. The natural-looking results may last up to a year or more in many patients . Many patients combine RADIESSE® treatments with IPL hand treatments to remove age spots and discoloration from the back of the hands. Facial filler treatments can be completed in a half hour or less at Dr. Garcia’s Glens Falls office. After the application of a topical numbing agent and cleansing of your skin, your chosen treatment product is injected under the skin. Dr. Garcia may gently massage treated areas after the injections. You can carry on with your day’s activities as soon as your treatment is completed. Patients generally experience very little discomfort, though they often see slight swelling in the treatment area for a few days. Depending on the treated area as well as the type and amount of product used, results can last from 6 months to 2 years. Dr. Garcia is happy to answer any questions you have about injectable fillers or the plastic surgery procedures he offers in Glens Falls, such as breast enlargement, facelift or tummy tuck. Request a consultation by filling out the form below or call (518) 793-0475 today to begin your transformation.